Tom Hanks is one of the best actors working today—he slips into the skin of a character, making him completely believable. I’m a big admirer of his acting, so when this book came out, I was curious: is he as good a writer as he is an actor? The answer is yes. This collection of short stories includes “slice of life” stories, sci-fi and pages from a fictional small-town newspaper. The diversity gives Hanks the freedom to explore different genres, but my favourites were the ones that were simply about people. A teenager goes out surfing with his father for the first time after years, and witnesses his infidelity; a man dates a friend with tons of energy and drive who runs him ragged (they break up but stay friends); a divorced woman picks up her young son for a weekend and gives him the time of his life; a group of friends build a rocket to the moon; a Bulgarian immigrant looks for work in New York; a man time-travels to the past and falls in love with a woman there; and a young actor goes on his first junket to promote a film. Interspersed with the stories is a column from a small-town newspaper—set like it would be in a newspaper—called Our Town Today by a man called Hank Fiset, who is so clearly drawn although you don’t know anything about him except what you pick up from his column: a reporter from the old school, a conventional small-time man. The story that I found the weakest was “Come Stay with Us”, written like a script. After everything that had come before, I didn’t feel I could get my teeth in it—it felt a bit disjointed. In all these stories, there is a common thread: typewriters (which explains the title). Typewriters either take centre stage or have walk-on cameos, like Hitchcock in his films. (Hank Fiset uses one, of course.) Each chapter starts with a photograph of a typewriter. This book is a tribute to them and brought back memories: the clackity-clack of the keys, pulling back the carriage at the end of a line and the ting that followed. Made me want to go out and buy the oldest one I could find! The back cover of the book says “With 14 photographs”. 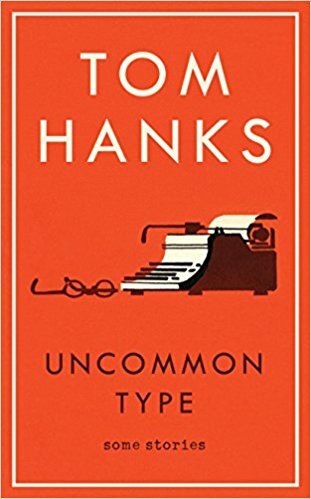 Those hoping for pictures of Hanks and his co-stars will be disappointed: the only stars here are some wonderful old typewriters! Memories are not linear; they have a chronology all their own. 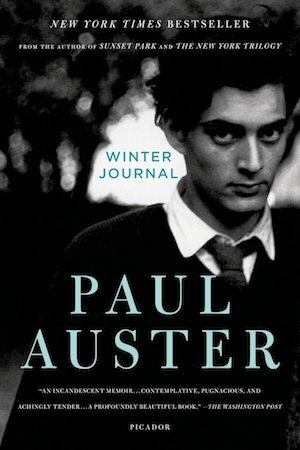 In Winter Journal, Paul Auster looks back at his life, meandering back and forth in time. He is the 63-year-old man climbing out of bed to look at the snow turning the trees white, the boy, all of 3 and a half years old, going wild in the endless space of a department store and splitting his cheek on a nail on the leg of a carpenter’s bench, and a 12-year-old focused on his game of baseball. Each incident is captured with the clarity of film and a clear memory of what it felt to be that person at that time. This is a journey through Auster’s life: the places he lived, the women he loved, and the scars he picked up along the way. He writes about the body, the way it grows, develops and starts to wear out. He writes entirely in second person, which can be hard to get right, but it works here. Marriages in his family seem to be rocky, except for his own. His parents’ marriage was doomed to failure: “an impetuous marriage between two incompatible souls that ran out of steam before the honeymoon was over”. Like that of his grandparents: “Your father would be such a wonderful man—if only he were different”, says his grandmother to her daughter. His father’s parents weren’t much happier: his grandmother shot her husband in their kitchen. Auster’s mother was a free spirit who went her own way, although she was a good mother to him: “you were the beneficiary of her unhappiness, and you were well loved”. 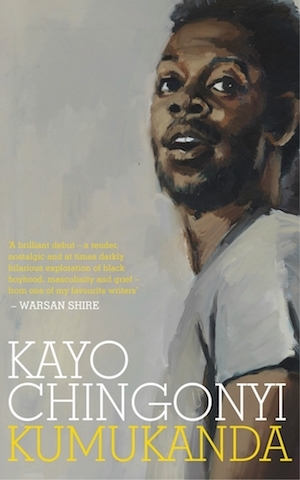 There is a lot about this book I liked: the writing and the stories he tells. However, I found parts of it a little self-indulgent: we don’t really need the details of all the places he’s lived in. It’s a device he uses to trace the path of his life but it could have been shortened considerably without losing anything. And do we really need almost the entire plot of DOA, the 1949 film by Rudolph Maté? If there was a reason for its inclusion, then I completely missed it. You can feel the relief of the “cold, cold bath” at the end of that paragraph. It is writing like this that makes this book worth reading. Don Tillman, a geneticist at an Australian university, is not only intelligent and good-looking but a decent cook to boot. He decides that he needs a wife, which you would think shouldn’t be hard. But Don’s manner tends to put women off. He tends to take everything literally and is not good at picking up on non-verbal signals that are so much a part of how we communicate (a touch of Asperger’s syndrome?). For example, when someone says, “Tell me about it!”, he tries to do exactly that. Don has his life figured out. He has a weekly timetable of meals which never changes, so he doesn’t have to think about food or what to buy. What he needs is a mate who won’t upset his perfectly organized routine. So, with some help from his friend Gene (his other friend is Gene’s wife), he devises a 16-page questionnaire that Gene helps him distribute to possible candidates. But, as we all know, life never works out as planned. Rosie walks into Don’s office, and Don, assuming she has filled out his questionnaire, asks her for a date. Rosie hasn’t filled out the questionnaire—just as well because she would have failed abysmally: she smokes, is always late and doesn’t eat meat. She is actually there to ask Don to help her find her biological father. But she takes him up on the date, and so begins an unusual love story. The two may be unfathomable to the people around them, but they understand each other, and it is a treat watching the relationship develop. The story is narrated by Don, whose manner made me realize just how much of our interaction relies on the unspoken and indirect communication. The book is funny, and Don and Rosie are both wonderful characters. Don has narrowed down the number of men who could be Rosie’s fathers, and there are hilarious situations when Don and Rosie try to get DNA samples from them—stealing cups, napkins, cigarette butts, toothbrushes—anything they can get their hands on. It’s not just the love story that is enjoyable. Don’s narration is what makes the book different. He is unsentimental (but not unfeeling), and constantly analyses situations, trying to understand emotions. “As I handed the filled tube to Rosie to put in her handbag, I noticed her hands were shaking. 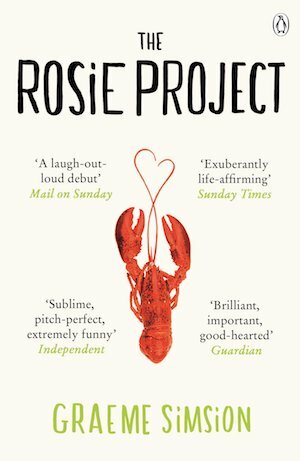 I diagnosed anxiety, presumably related to the imminent confirmation of paternity.” Graeme Simsion uses him—or his point of view—to hold a mirror up to us, to how we engage with each other and the kind of games we play. If you’re looking for a run-of-the-mill love story, this book is not for you. But if you’re looking for something light but intelligent, witty and heart-warming, then get this book. It is easy to forget today how seductive the idea of communism was for generations of intellectuals the world over. They were drawn to the idea of a utopia where everyone was equal although, unfortunately, in practice it often resulted in authoritarian regimes. 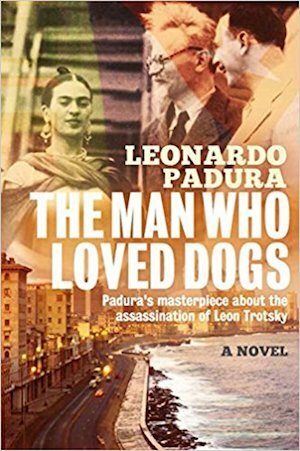 In The Man Who Loved Dogs, Cuban writer Leonardo Padura looks at these “corrupted utopias”, and at one of the most influential men behind communism. The book is about Leon Trotsky and his assassin, Ramón Mercader. We don’t know very much about Ramón Mercader, but Padura’s reconstruction of his story is very convincing. There are three strands in this book, each following the three main characters: Trotsky, Ramón and Ivan, a failed Cuban writer who meets Ramón twenty years after the assassination of Trotsky. The book is ostensibly written by Ivan. The book’s structure allows Padura to look at the ways in which people in power corrupt the idea of communism. In the Soviet Union, Stalin had put in place a regime of fear and repression; in the Spanish civil war, during which Ramón was recruited, Soviet agents were busy manipulating the Left for their own ends; and in Cuba, communism had resulted in deprivation and the stifling of talent. Meanwhile in Spain, Ramón, who is fighting against Franco, is being manipulated by his mother, Caridad (who has an agenda of her own) and Kirov, a Soviet spy who becomes his handler. Kirov puts Ramón through increasingly intensive training, breaking him down to reshape him (at one point, Kirov thinks of Ramón as “his creature”). Both men change their names constantly, and the author, by referring to them by their current names emphasizes their shape-shifting natures. Ivan grows up in Cuba during the 1960s and 70s, at a time when Cubans were kept from knowing anything that would destroy their faith in the Revolution, such as the Soviet invasion of Czechoslovakia. Similarly, any creativity that challenged the Revolution was discouraged. The short story Ivan submits to his university magazine is branded “almost counter-revolutionary” by the magazine’s director. And this is the insidious way in which fear can shape people: Ivan leaves the director’s office feeling fearful and confused but, most of all, grateful that no measures would be taken against him and determined to prove that he is worthy of the regime’s trust. But Ivan stops writing, and it is not until he meets “the man who loved dogs” that he thinks of picking up his pen again. The man whom Ivan meets is, of course, Ramón. Ivan sees him walking on the beach in Havana and is fascinated by his two Borzois (as the title indicates, dogs—especially Borzois or Russian wolfhounds—form a common thread through the book: Trotsky is also fond of dogs). The two men get talking, and Ramón starts to confide in Ivan. This is a complex book, not an easy read but well worth the effort. I loved the way Padura structures the book, with the action moving back and forth between the three stories. He plays with time: as Ramón gets closer to Trotsky, the timing of the chapters is a bit off. For example, you see Trotsky watering his plants for the last time, but the following chapter on Ramón takes place the day before. It is a little disconcerting but when the two timelines come together with Ramón assassinating Trotsky, it feels like a collision. Every single one of the book’s characters comes alive. But Trotsky, most of all, jumps off the page as a larger-than-life character (as I suspect he was in reality). Like all people with a big idea, he is unable to see how his single-mindedness affects those around him, even though he knows that he and his family are in danger. This book is a dissection of the corrupting influence of politics. All the characters are affected, directly or indirectly, by Stalin’s campaign against Trotsky. There are a few things that jar in the translation, like “gave an ear” instead of “lent an ear”, “two times” instead of “twice” and “could care less” instead of “couldn’t care less”. All of these detract from an otherwise excellent translation and could have been picked up by an editor. I thoroughly enjoyed reading this intricately plotted book and would recommend it without hesitation.